You’re probably familiar with Get Smart, the television series subsequently made into a movie. Its plot pitted the intelligence agency, CONTROL, against the terrorist forces of KAOS. It was set in a make-believe, make-me-laugh world that didn’t much resemble reality other than the contextual framing of good versus evil. Today, the challenge of trying to control chaos is very much at play – only this time without the slapstick. Where? The landscapes of many industries continue to get more complex. Whether it’s media or technology, science or health care, we’re witnessing a relentless drive to be part of the action. What does this mean to you? The free world might not be at stake, but the need to control your place in your industry domain is. 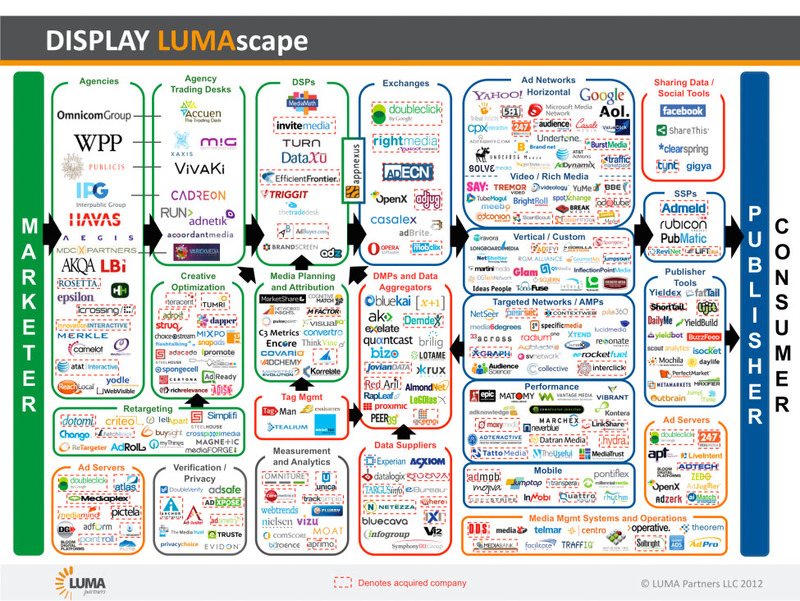 To visualize just how chaotic some industries have become take a look at these fascinating infographics from Luma Partners. These are not the pictures of calm. Here’s a popular one for the digital advertising display space. 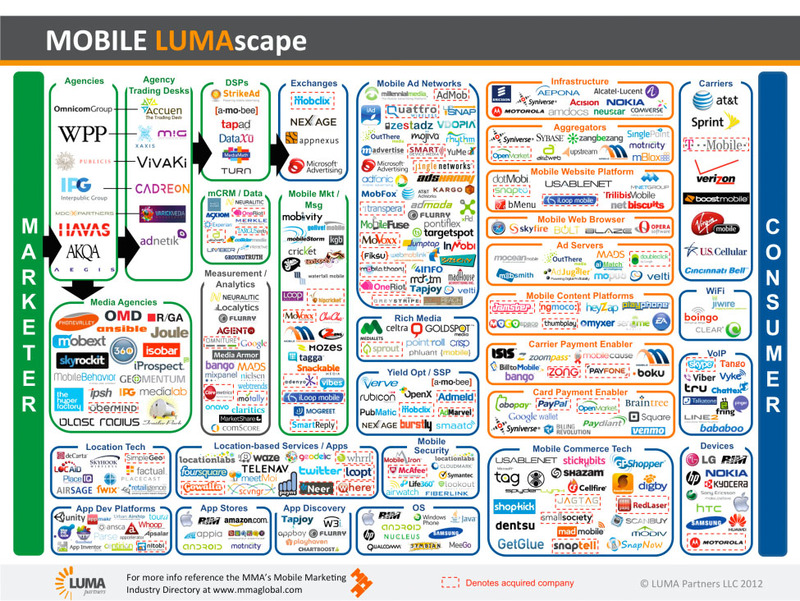 Here’s another for the mobile industry. What do these industry pictures show us? They’re cluttered. Messy. Chaotic. If you follow these steps and execute this kind of work, you’ll go a long ways toward positioning your organization as the industry leader – a leader that can help companies rise above the industry clatter and clutter. But, hurry. It’s only a matter of time before someone else successfully stands out from the crowd. For more insights, news and suggestions visit my blog at www.21weeks.com/blog or follow me on Twitter @ThomasButta.